As the dutiful child of aged parents, it is understandable that you want only the best of care for them when they’re recovering from an illness or surgery. Of course, when it comes to reliable and dedicated care, a loving child in the only person who can do what’s best for them. Except that you probably have a whole lot of commitments of your own to deal with. In addition to a job, you may have kids and other household responsibilities. Managing the care of an aged parent is a difficult task and you’ll want to rest assured that they’re safe and their needs are taken care of when you’re away at work. The next best solution to quitting your job and caring for your parents full-time until they recover completely is a short-term rehab center. Choose a great facility that provides the best of care, regular medication, and doctor checkups. Look for a center that has resident doctors on call in case of an emergency. Elderly people are set in their ways and need a lot of gentle, patient, and careful handling. So, you may want a rehab center that has specially trained personnel who can also help dementia and Alzheimer’s patients with tact and understanding. In addition, right after an illness or surgery, most patients need physical and occupational therapy so they can relearn all the regular motions. These may include getting out of bed, brushing their teeth, bathing, dressing, and eating. Accordingly, you’ll need a rehab center that has the trained therapists as a part of their staff. Search the internet and you’ll likely come across a lot of horror stories. You’ll read about how poorly trained and underpaid staff show incompetence in handling their charges. You may also hear about how patients’ needs are not completely met or that the facility lacks in basic hygiene and maintenance. There have also been stories circulated about inefficient laundry services and mismanagement where the clothing of inmates gets lost or mixed up despite being labeled carefully. You’ll also hear about missing medications and cherished personal belongings. So, what should you do? You’ll have to put in some time and effort but before finalizing the rehab center, do all the research you can. Talk to friends, colleagues, and other family members and look for information of centers they have had experiences with. You could also search the directories of the healthcare facilities in your area. Like, for instance, check out the website of the National Association of Area Agencies on Aging for listings of rehab centers. Read up all the reviews you can find and look for the ratings provided by Medicare. Check with the hospital or medical care center where your parents have received treatment. They might recommend a good short-term rehab facility that can provide the continued care needed. You could also visit the center you’re considering and walk around a little to see how the inmates are doing. Get in touch with the rehab center’s ombudsman and discharge planner and talk to them about the special care your parents need. Through the course of your conversation, you should be able to get a fair view of whether or not the center is well-equipped to manage your parents’ specific illnesses and aftercare. Before finally making your decision, check the menu and dining area and if has enough room for maneuvering. You might also want to ask about the recreational facilities they have for their guests. 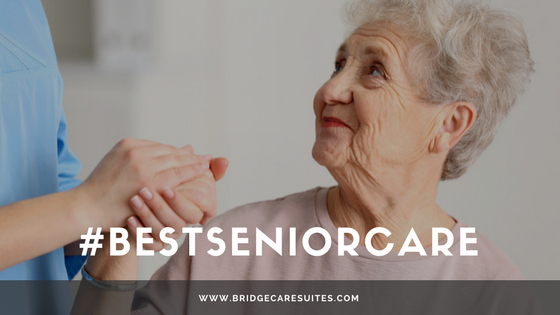 All of these precautions can help you find the best short-term rehab center like Bridge Care Suites for your parents. Contact us for more information and we’ll help in every way we can. As a good Son I know it’s my primary duty to keep my parents happy. That’s why I am searching in Google about How to keep elderly parents happy. This article is so nice. I will do follow the instructions. Keep sharing such google article related to aged care. Thanks to Admin.